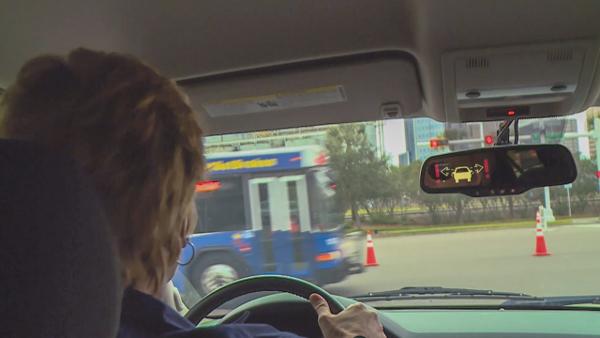 One of the US Department of Transportation’s (USDOT) Connected Vehicle Pilot projects has successfully demonstrated connected vehicle technology application in transit vehicles for the first time. 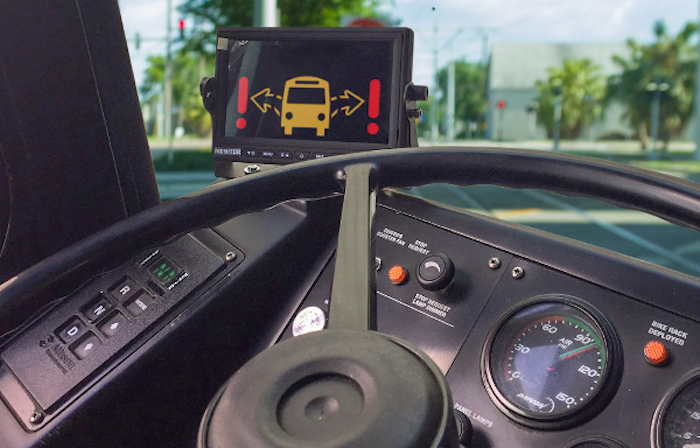 Last week in Florida, the Tampa Hillsborough Expressway Authority (THEA) and the Hillsborough Area Regional Transit Authority (HART) demonstrated connected vehicle technology in HART transit vehicles for the first time. 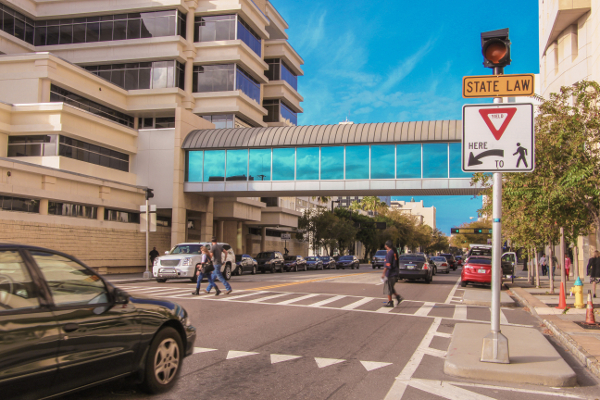 The live demonstrations were a milestone for the THEA Connected Vehicle Pilot, which has now deployed the potentially lifesaving technology in 1,000 cars, 10 buses and eight streetcars to improve safety and mobility in downtown Tampa. 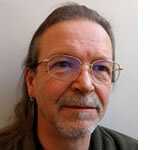 The connected vehicle-to-everything (V2X) technology enables vehicles to communicate wirelessly with each other (V2V), with traffic signals, crosswalks and other infrastructure (V2I), and with pedestrians (V2P). 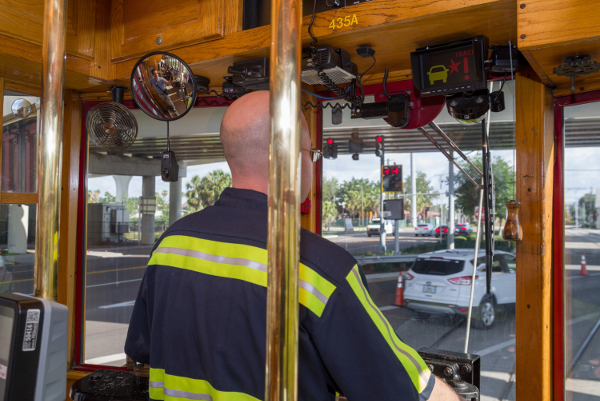 In a series of controlled demonstrations, onboard equipment successfully alerted drivers to potential collisions between a car and a TECO Line streetcar; between a car and a HART bus; and between a car and a pedestrian. • Scenario 3 – Pedestrian Safety, where a busy crosswalk is equipped with a lidar pedestrian detector and a roadside communications unit (RSU). 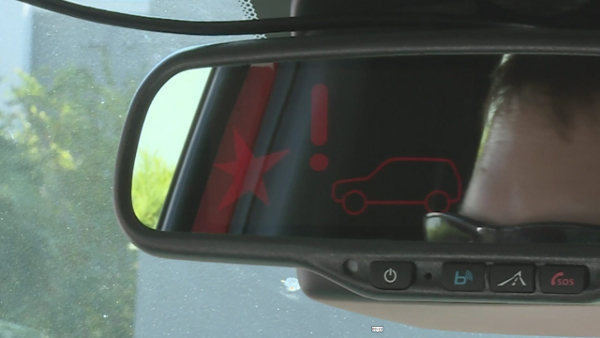 The lidar system detected the pedestrian, the RSU transmitted the information to the vehicle’s onboard unit (OBU), and the driver received an audio warning and a visual alert in the rearview mirror, and brought the vehicle safely to a stop.